A waterborne cleaner designed to remove wax and silicone contaminants from raw plastics as well as painted plastics. Must be used before applying MRS-7301 Plastic Primer Sealer. 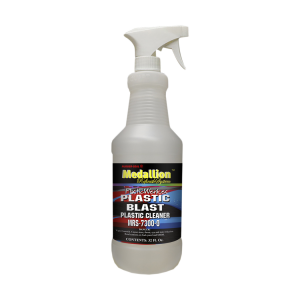 Plastic Blast Plastic Cleaner will not etch or soften raw plastics.